What a great cake -- easy, delicious and a total surprise, for I had made it only as a platform on which to spread my latest amazing discovery, gravy icing. 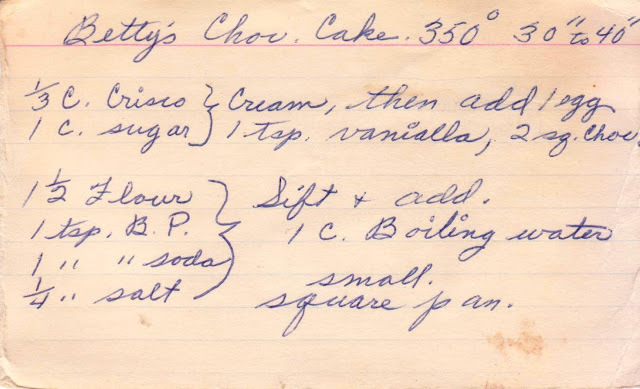 Gravy icing (also called white icing) is exactly the sort of recipe I hoped to find when I began my quest to uncover treasures from the past. It's unusual, foolproof, delicious, fluffy, holds up on a hot summer day, in short, everything you want a frosting to be. This discovery is especially welcome since frosting has long been my Achilles heel. 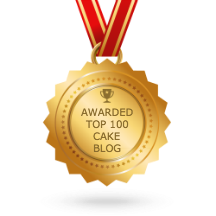 I've made classic buttercream, neoclassic buttercream, seven minute boiled frosting, Swiss and Italian meringue frosting, whipped cream frosting and so many more, but nearly all fell short in one way or another. Too complicated, too grainy, too buttery (yes, that's possible), too unpredictable. The list goes on. I failed to find my go-to frosting --- until now. The oddly named gravy frosting was born in the Depression and gained popularity for it's economy, ease of preparation and reliability. Not to mention that it has the texture of beautifully whipped cream and a pleasing and not-too-sweet flavor. Place the flour and milk in a saucepan. 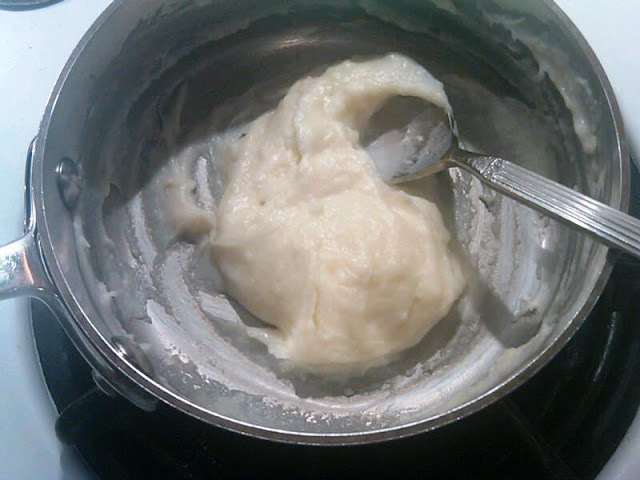 Stir over a medium flame until it forms a paste. The recipe is odd, calling for flour cooked with milk until it forms a paste (think old-fashioned white sauce). But trust me on, this. It works and works beautifully. You'll never go back. You must continue whisk or stir the flour-milk mixture until it forms the paste and let it cool completely. And you must beat the frosting for a very long time -- a standing Kitchen Aid mixer makes easy work of this. I used butter (not the Oleo and Crisco called for in the recipe) and it worked fine. And when you make gravy icing, consider baking Betty's Chocolate Cake at the same time. It may have started as a mere platform, but it turned out to be a really good cake. Betty's cake is similar to wacky cake. I found this looking for the frosting. Thanks. 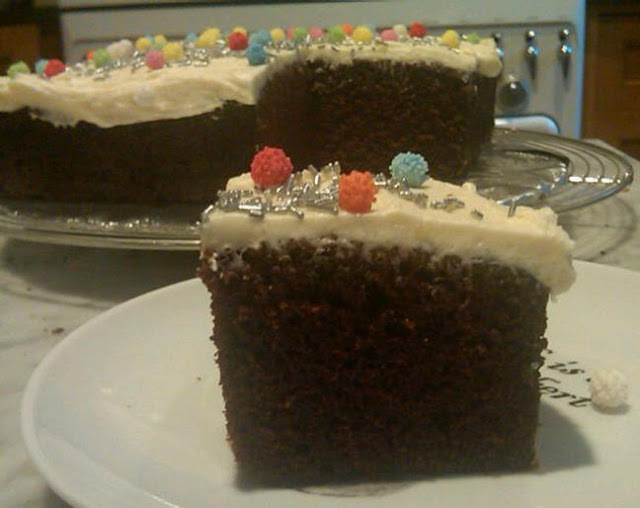 Catherine: I think this frosting is a true hidden gem -- fail-proof, easy and delicious. But you do need an electric mixer. Interesting about the wacky cake comparison, for I recently made a wacky cake (but haven't written about it yet) where the dry ingredients were placed directly in the baking pan and three holes created, and each filled with a different liquid (melted butter, vanilla and something else -- perhaps vinegar?). It was surprisingly good! Do write back if make the frosting, and thanks so much for writing! Hi, Anonymous -- The white icing recipe is the "gravy icing." Please let me know if you're still not seeing it. It's a wonderful, versatile frosting. Yes, a nine-inch pan is ideal or you can also use an 8- or 9-inch round pan. 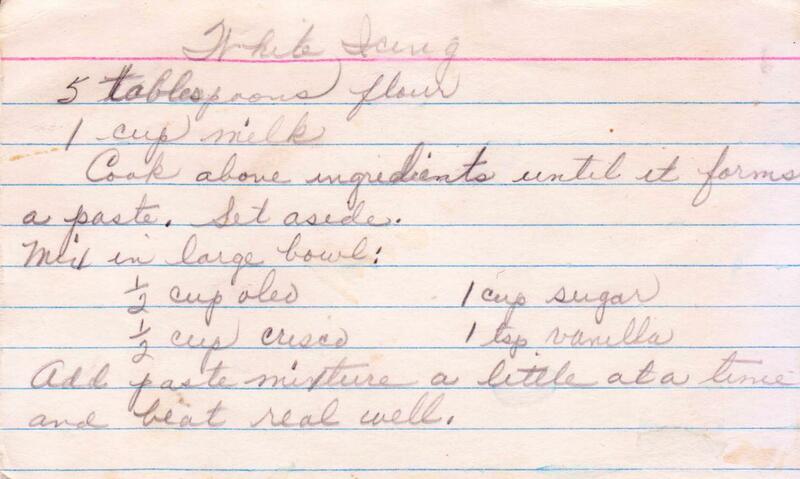 And since I published this recipe, I've found all sorts of versions of this icing in my collection. It truly is a hidden gem and the texture is divine. Thanks for writing. We call this icing cooked icing. My mother in law made it with all crisco, my family made it with all butter. We love it! Do you have any tips on how not to get lumps? I also make the wacky cake. I love your site!!!! Thanks, Anonymous. I've only make this a couple of times and didn't get any lumps, or if I did, they were smoothed out during the very lengthy beating process. 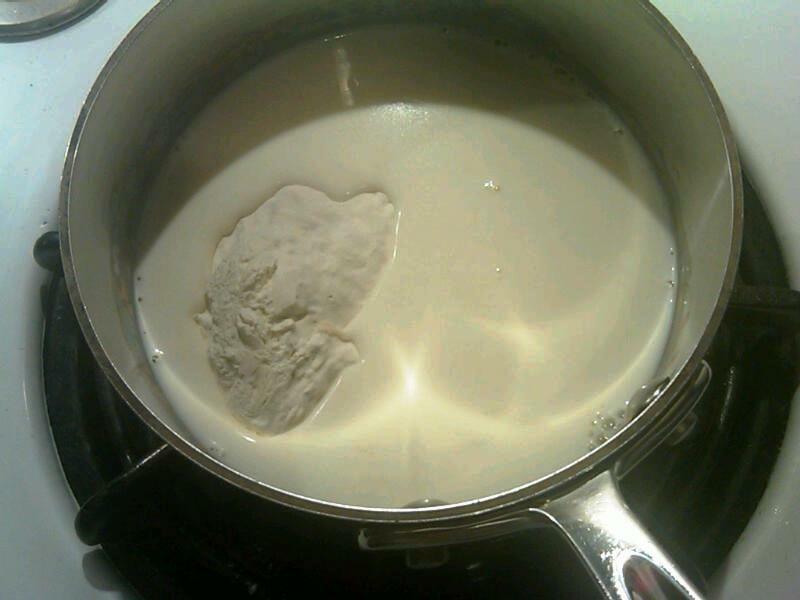 I also constantly stirred the butter and milk during cooking to prevent lumps at that stage. Are there lumps in your family's frosting? If not, they sound like the real experts! Hello, I'm just concern if this icing will pipe properly? because I'm living in a warm-humid country. I've never piped this icing, but it is supposed to hold up well and I think it would be far superior than a traditional buttercream for that. Good luck! Thank you for reporting back that it pipes well and holds for six hours! 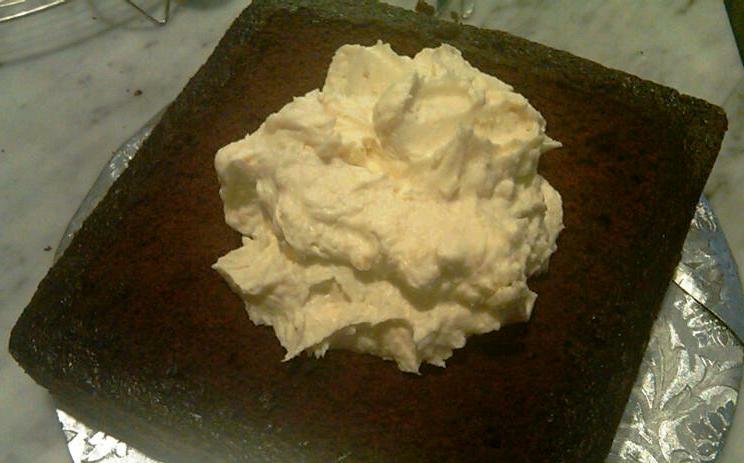 And I have read that this is the original, traditional southern frosting for red velvet cake. I'd say about five minutes for the butter-sugar mixture, and another five once the flour mixture is added. It may be longer or shorter, but the icing must be smooth without any grains of sugar remaining -- test by touching or tasting!